Kim grew up in a musical family and commenced singing tuition from the age of 6. Although classically trained, she hit the teenage years and wanted to experiment with other vocal genres such as jazz, rock, soul and pop. For classical singers, this was frowned upon back then, but Kim maintains if you use your voice carefully singers can enjoy a wide variety of songs. 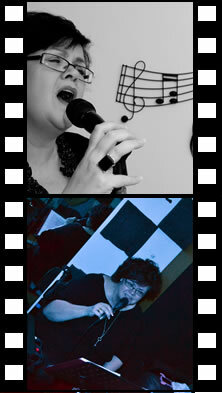 Over the years she has sung with jazz and covers bands. Wedding ceremonies have always been regular gigs, which have enabled her to keep her classical prowess polished. More recently she has performed in fundraising events for Wessex Cancer and Help For Heroes. Nine years ago she became a vocal coach and teaches from her home in Netley Abbey.